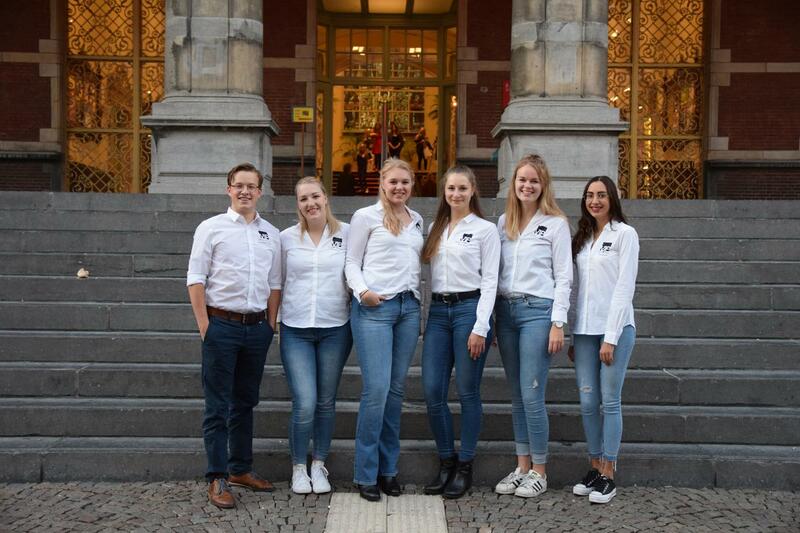 The Career committee has six members who organize four career evenings during the academic year 2018-2019. People from several work fields based on the master programs offered at the University of Groningen will give insights into their professions and their career paths as well as sharing all their career tips. The events are meant to give students an idea of their opportunities as a bachelor’s graduate of Psychology and also a more practical understanding of how the acquired skills and knowledge can be applied. There are many possibilities and you have to choose for yourself what you want your future career to be. Our night owl, Sofia is our Treasurer. Since she has to watch out for the money at night, she has to sleep at daytime. As the only guy in between five girls, Wouter is a “womanizer”. Therefore, his destiny was Acquisition as he can use his skills to let some money flow in our direction. Maaike, our Secretary, is often a little late and has a rather rough relationship with numbers. Apart from that, she’s super organized. Our “grandma” Tineke who is doing External Affairs, likes her Liquor 43 as it makes her more fluent in talking to and more open to approach people needed for our events. Nikola provides stability to the group and wraps her creative mind about doing the Promotion for our events. And last but not least, the youngest boss alive: our Chairwomen Margriet. Fun fact: With Dutch, Frisian, Spanish, German, and English, there are five languages represented within our committee. The Career committee organizes four career-evenings every year. The topics of each evening are based on the different master programs that are offered at the University of Groningen. This means the evenings will be about Developmental Psychology, Industrial and Organizational Psychology, Social Psychology, Clinical Psychology, and Neuropsychology. On these career-evenings, people from the field will come and talk about their work and their career. They will also give career tips to the participants. If you are in this committee, you will mostly be busy trying to find multiple speakers for each evening, and a location. Flyers will also be handed out to let people know there will be a career evening.